At Suffolk Pediatric Dentistry & Orthodontics, our aim is to provide dental care that's friendly, gentle, compassionate, and comprehensive, for infants, children, and adolescents in the Port Jefferson Station and Wading River areas. 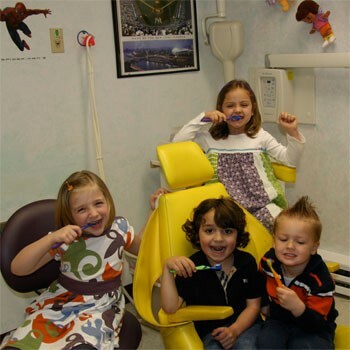 We've been caring for Pediatric Dentistry young people in Suffolk County for nearly 40 years and we truly love helping our patients develop good oral hygiene habits, and beautiful healthy smiles. 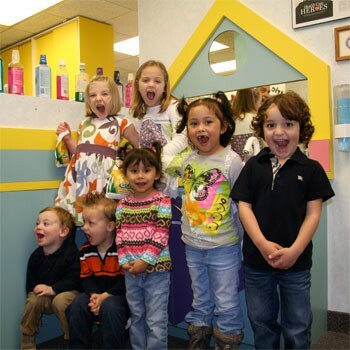 As a pediatric dental practice, each of our offices has been developed with young patients in mind. Our high-tech paperless offices are streamlined and practical, but we've created a friendly and fun atmosphere that focuses on positive reassurance, to ensure patients have the best possible dental experiences. Our colorful mural-painted offices—along with special touches such as banana chairs in every office, and small prizes for our young patients—help kids feel at ease each time they visit. 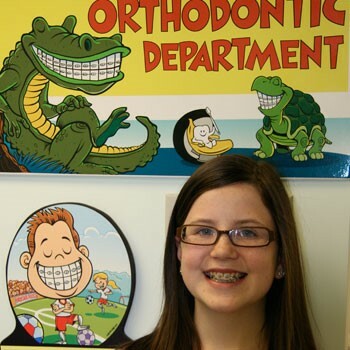 Orthodontics – Braces, Invisalign and more! With two locations in Port Jefferson Station and Wading River, Suffolk Pediatric Dentistry serves clients all over Suffolk County and Long Island. Call one of our Suffolk County dental offices today to ensure your children get the quality dental care they need for a lifetime of great oral health. For 40 years, Suffolk Pediatric Dentistry & Orthodontics has provided dental care that's friendly, gentle, and compassionate. We provide preventive and comprehensive treatment for infants, children, and adolescents including sedation and general anesthesia dentistry. We strive to help our patients develop good oral hygiene habits, and beautiful healthy smiles. Our full-time orthodontist offers braces and Invisalign treatment to our patients. With three locations in Port Jefferson Station, Wading River, and Riverhead, we care for patients all over Suffolk County. Call one of our offices today. Dr. Eliades graduated from Seton Hall University with a B.S. in biology and a degree in physiology from Fairleigh Dickinson University. She was awarded her D.M.D. degree from the University of Medicine and Dentistry of New Jersey where she graduated with honors. She served as chief resident in pediatric dentistry at Long Island Jewish Medical Center-Schneider Children’s Hospital. She is currently on the attending dental staff at Schneider Children’s Hospital and is a member of the American Academy of Pediatric Dentistry. Dr. Eliades has two lovely daughters. She has practiced Pediatric Dentistry in Suffolk County since 1994.